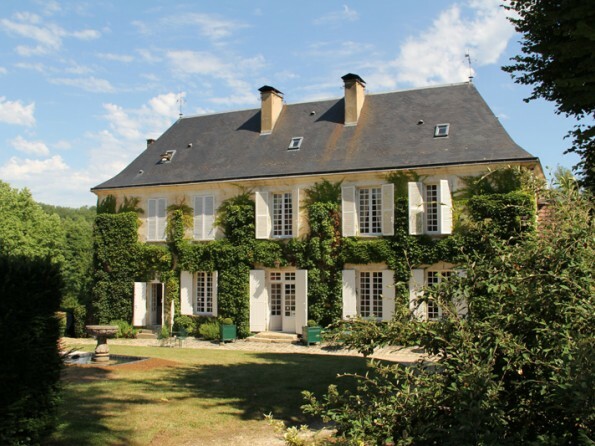 This 18th century manor house just outside Bergerac is the perfect place for a holiday with friends or family. 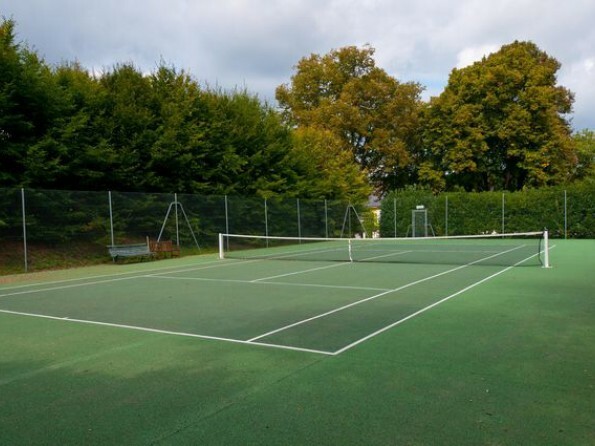 Complete with large grounds, a tennis court, a heated swimming pool and a boating lake, it is a wonderful getaway, close to all the tourist sites and with a very good regional cook as and when you require it. 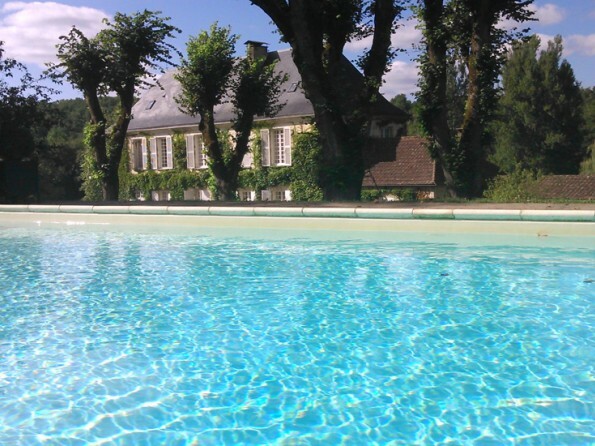 This comfortable 18th century manor house just outside Bergerac has a large heated swimming pool, a private tennis court, riding stables, WiFi, a hifi, a large screen TV with French and UK satellite systems and an excellent cook. 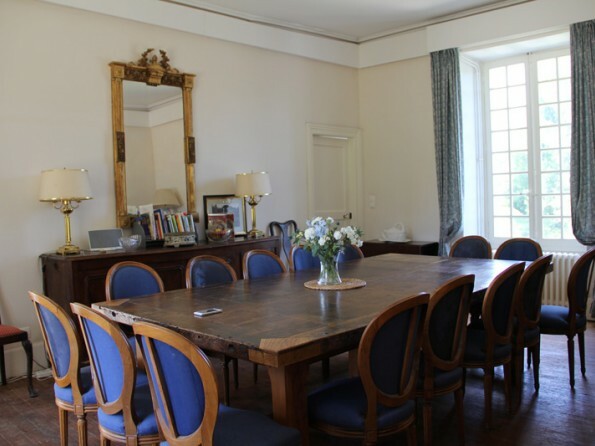 It is an ideal venue both for house parties and family groups as well as for smaller numbers who want to enjoy the calmness of the French countryside. 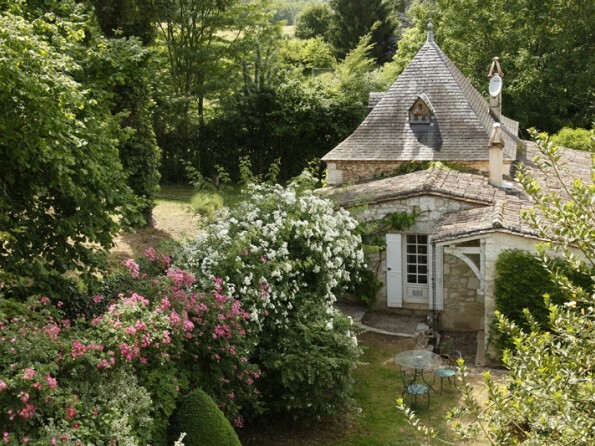 Here you are in the heart of the Dordogne countryside, while still being close to the lively town of Bergerac. If the manor house is rented with the annexe or wing, it can sleep a maximum of 16 people in 8 double bedrooms, all with private bathrooms. There is also a pigeonnier which sleeps an additional 4 people so total numbers can be up to 20. 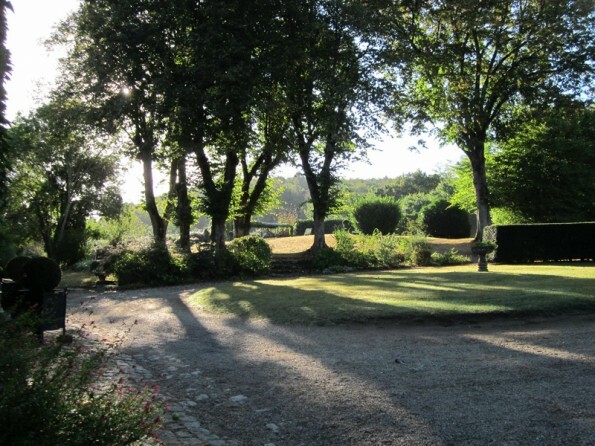 The house is centrally heated so it can be rented throughout the year and it is only 10 minutes from Bergerac airport. The Dordogne is an area of outstanding natural beauty – a green land of farms, lovely wooded hillsides and gentle winding rivers. It is also known as one of the gastronomic centres of France and you will find restaurants to suit all tastes and budgets in the vicinity. This region is renowned for its wines – so if you fancy a bit of wine tasting, you’re in the right place! The town of Bergerac is well worth a visit – it is a beautiful old town. You can take a boat trip on the Dordogne and admire the town from the water, or visit the antiques market and enjoy the hustle and bustle of Bergerac life. 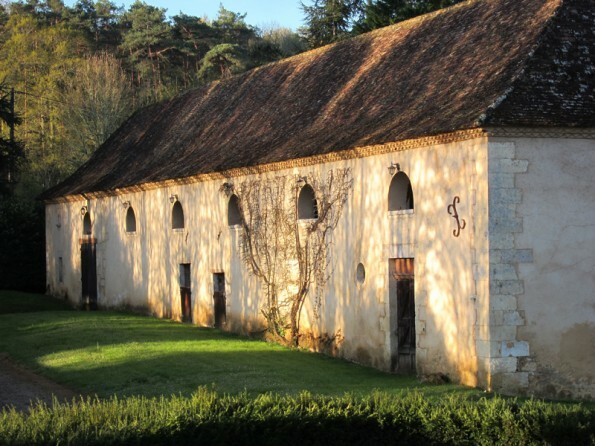 There are endless other things to do; visit the Bastide villages, the town of Periguex, local vineyards, the Dordogne valley, and much more besides. 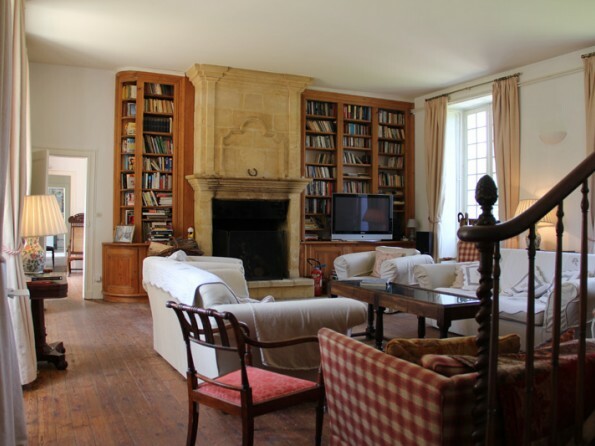 The house is a 10 minute drive from Bergerac airport and train station and 70 minutes from Bordeaux. Detailed directions will be provided on booking. There is a large entrance hall/study which leads onto an outside terrace. The main living room (50m2) has an open fireplace, a 42 inch plasma HD UK and French satellite TV, video and DVD players, a hifi, a piano and seating for a large number of people. The dining room also has a fireplace and can seat up to 20 people. 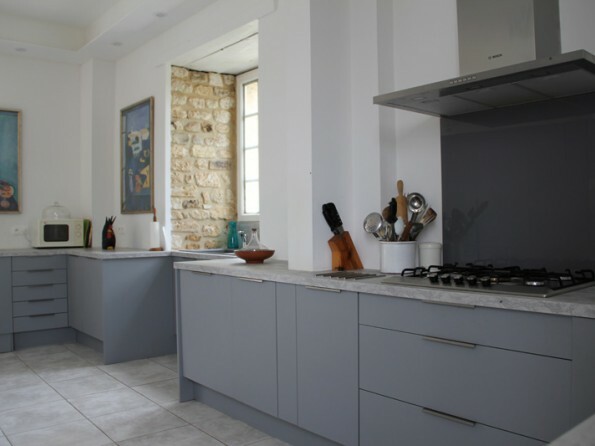 There is a fully fitted and well equipped kitchen complete with two dishwashers, two fridge freezers, a washing machine, a dryer, a microwave and a wine store. There is also a downstairs bathroom. A staircase leads from the living room to the first floor where there are four large bedrooms (two doubles, one twin, and one with two double beds). There are three further bedrooms on the second floor (one double, one with three single beds, one with one double and one single bed). 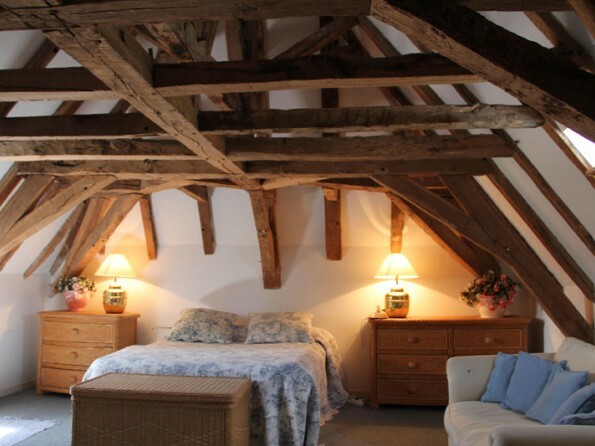 The annexe comprises a large living room with open fireplace and two double sofa beds, a double bedroom, a second fully fitted and equipped kitchen, a bathroom and a private walled garden. 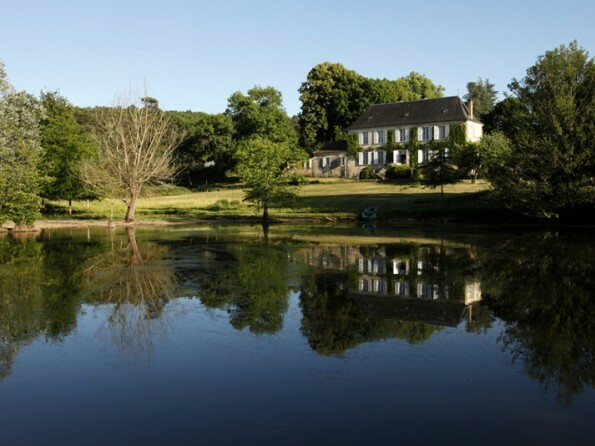 Aside from the heated pool (12 x 6 m), the private tennis court and barn, the seven acre grounds also feature a large meadow garden, and a small boating/fishing lake, where you can try your hand at catching one of the fat carp, or just watch them from your rowing boat. There is also an outside ping pong table. From the house you can enjoy beautiful views over woodlands and fields. We also have eleven riding stables. Prices are per week and rentals run from Saturday to Saturday. Midweek changeovers may be allowed off peak. A 33% deposit is required on booking and the balance is due three months before your arrival date. A refundable security deposit payable is with the balance. Rates include linen, towels, electricity, gas, firewood and pool heating. If staying more than one week, the rate also includes three hours of cleaning on the middle Saturday. Additional cleaning, cooking and babysitting are available at additional cost. There are cots and highchairs available.